"Wine Spectator" has rated the wine "Marchesi Antinori Castello della Sala 'Bramito del Cervo' Chardonnay Umbria IGT, Italy" from the vintage 2015 on 15.10.2016 with 90 of 100 points. "Wine Spectator" has rated the wine "Marchesi Antinori Castello della Sala 'Bramito del Cervo' Chardonnay Umbria IGT, Italy" from the vintage 2014 on 29.02.2016 with 91 of 100 points. "Wine Enthusiast" has rated the wine "Marchesi Antinori Castello della Sala 'Bramito del Cervo' Chardonnay Umbria IGT, Italy" from the vintage 2014 on 09.01.2016 with 91 of 100 points. "Falstaff Magazin" has rated the wine "Marchesi Antinori Castello della Sala 'Bramito del Cervo' Chardonnay Umbria IGT, Italy" from the vintage 2013 on 14.09.2015 with 90 of 100 points. "Wine & Spirits Magazine" has rated the wine "Marchesi Antinori Castello della Sala 'Bramito del Cervo' Chardonnay Umbria IGT, Italy" from the vintage 2013 on 01.04.2015 with 86 of 100 points. "Wine Spectator" has rated the wine "Marchesi Antinori Castello della Sala 'Bramito del Cervo' Chardonnay Umbria IGT, Italy" from the vintage 2013 on 15.11.2014 with 89 of 100 points. "Wine Spectator" has rated the wine "Marchesi Antinori Castello della Sala 'Bramito del Cervo' Chardonnay Umbria IGT, Italy" from the vintage 2012 on 31.03.2014 with 89 of 100 points. "Wine Enthusiast" has rated the wine "Marchesi Antinori Castello della Sala 'Bramito del Cervo' Chardonnay Umbria IGT, Italy" from the vintage 2012 on 02.01.2014 with 88 of 100 points. "Luca Gardini" has rated the wine "Marchesi Antinori Castello della Sala 'Bramito del Cervo' Chardonnay Umbria IGT, Italy" from the vintage 2011 on 02.07.2012 with 86 of 100 points. "Wine Spectator" has rated the wine "Marchesi Antinori Castello della Sala 'Bramito del Cervo' Chardonnay Umbria IGT, Italy" from the vintage 2008 on 31.08.2009 with 86 of 100 points. "Wine Spectator" has rated the wine "Marchesi Antinori Castello della Sala 'Bramito del Cervo' Chardonnay Umbria IGT, Italy" from the vintage 2007 on 31.08.2008 with 84 of 100 points. "Wine Spectator" has rated the wine "Marchesi Antinori Castello della Sala 'Bramito del Cervo' Chardonnay Umbria IGT, Italy" from the vintage 2006 on 31.05.2008 with 88 of 100 points. "Wine Spectator" has rated the wine "Marchesi Antinori Castello della Sala 'Bramito del Cervo' Chardonnay Umbria IGT, Italy" from the vintage 2005 on 31.07.2007 with 85 of 100 points. "Wine Spectator" has rated the wine "Marchesi Antinori Castello della Sala 'Bramito del Cervo' Chardonnay Umbria IGT, Italy" from the vintage 2004 on 15.12.2005 with 86 of 100 points. "Wine Spectator" has rated the wine "Marchesi Antinori Castello della Sala 'Bramito del Cervo' Chardonnay Umbria IGT, Italy" from the vintage 2003 on 15.12.2004 with 88 of 100 points. "Wine Spectator" has rated the wine "Marchesi Antinori Castello della Sala 'Bramito del Cervo' Chardonnay Umbria IGT, Italy" from the vintage 2002 on 15.12.2003 with 87 of 100 points. "Wine Spectator" has rated the wine "Marchesi Antinori Castello della Sala 'Bramito del Cervo' Chardonnay Umbria IGT, Italy" from the vintage 2001 on 15.11.2002 with 85 of 100 points. "Wine Spectator" has rated the wine "Marchesi Antinori Castello della Sala 'Bramito del Cervo' Chardonnay Umbria IGT, Italy" from the vintage 2000 on 31.03.2002 with 86 of 100 points. "Wine Spectator" has rated the wine "Marchesi Antinori Castello della Sala 'Bramito del Cervo' Chardonnay Umbria IGT, Italy" from the vintage 1998 on 29.02.2000 with 86 of 100 points. "Wine Enthusiast" has rated the wine "Marchesi Antinori Castello della Sala 'Bramito del Cervo' Chardonnay Umbria IGT, Italy" from the vintage 1998 on 04.01.2000 with 84 of 100 points. "Wine Spectator" has rated the wine "Marchesi Antinori Castello della Sala 'Bramito del Cervo' Chardonnay Umbria IGT, Italy" from the vintage 1996 on 15.10.1997 with 85 of 100 points. "Wine Spectator" has rated the wine "Marchesi Antinori Castello della Sala 'Bramito del Cervo' Chardonnay Umbria IGT, Italy" from the vintage 1995 on 31.01.1997 with 80 of 100 points. "CellarTracker" has rated the wine "Marchesi Antinori Castello della Sala 'Bramito del Cervo' Chardonnay Umbria IGT, Italy" from the vintage 2003 with 89 of 100 points. "CellarTracker" has rated the wine "Marchesi Antinori Castello della Sala 'Bramito del Cervo' Chardonnay Umbria IGT, Italy" from the vintage 2014 with 89 of 100 points. Riparosso Montepulciano d'Abruzzo DOC - Azienda Agricola Dino Illuminati 9,60 EUR / 12,80 €/lt. 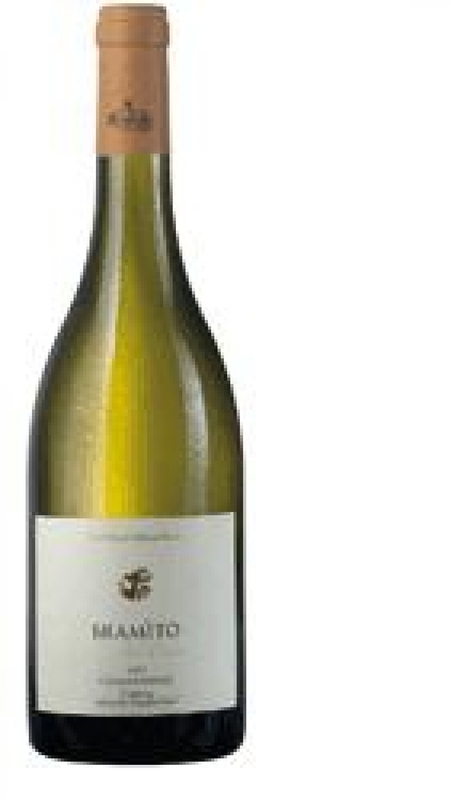 Chardonnay - 2016 - Volpe Pasini 14,70 EUR / 19,60 €/lt. Mormoreto IGT - 1997 - Marchesi de Frescobaldi 50,35 EUR / 67,13 €/lt. Contrada Rampante IGT - 2013 - Weingut Passopisciaro 55,70 EUR / 74,27 €/lt. Mormoreto IGT - 1995 - Marchesi de Frescobaldi 45,30 EUR / 60,40 €/lt. Terre di Franciacorta Rosso DOC - 2001 - Ronco Calino 25,80 EUR / 34,40 €/lt. Vermentino di Gallura Karagnanj Magnum WC - 2016 - Winery Tondini 38,35 EUR / 51,13 €/lt.